One of several books that teams Sherlock Holmes with the world's greatest escapologist, Harry Houdini. Sherlock Holmes and Harry Houdini? The World's greatest detective and the king of magic–together? Yes, together, astounding all England and confounding the crooks who would commit "the crime of the century." Here, for the first time, are the details of this legendary case. Even while London is applauding Houdini for such incredible feats as "Walking Through A Brick Wall" and "The Ancient Hindu Water Torture Cell Escape," his devoted wife, Bess, fears for his safety. A rival magician is plotting against him. When Houdini is framed for espionage and incarcerated, Holmes vows to clear his name. So begins one of Sherlock Holmes's most colorful adventures. You'll meet such exotic characters as the beautiful and mysterious Countess Valenka, who attempts to blackmail the Prince of Wales, and Mycroft Holmes, Sherlock's brother, whose bulk is matched only by his intellect (said to be even more formidable than Sherlock's). 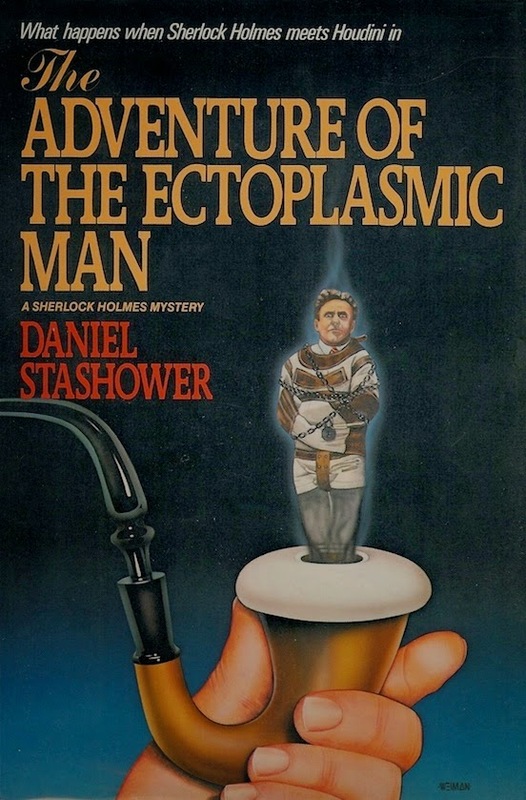 You'll see Houdini reduce his body to ectoplasm–and Holmes deduce how he did it. You'll witness Houdini perpetrate the most astonishing escape of his career–from Scotland Yard! And, best of all, you'll see Holmes in action: his celebrated deductive technique, his uncanny talent for confounding disguise, and his hitherto unrevealed skill of flying aeroplanes. The Adventure of the Ectoplasmic Man is a magical entertainment, glittering with suspense, comedy, and romance. It is a must for Sherlock Holmes fans, and for all lovers of adventure and mystery in a grand style.